Expert Tuition’s home-schooling programme is focused on helping each child unlock their true potential by initially outlining clear collaborative goals and objectives. A timetable is created that provides a clear structure and support network especially tailored to your child’s needs. Our international programme is specifically designed for families living abroad, or families who travel regularly and require a full- or part-time tutor to accompany them. With many families opting to follow the British curriculum, our tutors are perfectly placed to ensure your child is on course to achieving top grades. 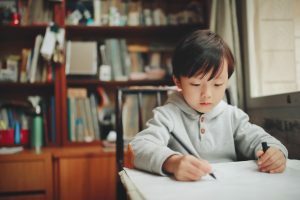 Who Benefits From International Home Schooling? Some parents prefer that their child is given the optimum conditions in which to flourish and to unlock their potential. They therefore prefer the tutoring sessions to be conducted on a one-to-one basis rather than in a classroom environment. Families living abroad, but who wish to follow the British education system. Families seeking to attain a place at a prestigious school in London and require a tutor to help their child prepare for common entrance exams. Unforeseen circumstances such as illness, resulting in the student having to leave the classroom schooling system. Families that travel from one location to another, who would like a tutor to travel with them and offer on-site educational support. How Does International Home Schooling Work? One of our educational consultants conducts a free one- to two-hour consultation with the parents and the student. This helps the tutor to better understand your objectives and unique circumstances. And it’s also your opportunity to ask any questions you may have. As part of the consultation, we may conduct a mini-assessment of your child to give us a better understanding of their current academic level. Expert Tuition selects the appropriate tutors who we feel are going to be a fit with the student and are experts in the student’s chosen subject. Some parents prefer Expert Tuition to source and train the appropriate tutor, who they then employ on their own payroll. For this service, we would charge a one-off finder’s fee. We offer the international home-schooling programme at your house or online.